If you are looking for a happy book about beautiful people, this is the wrong story. Peregrine Storke is an artist with an odd sketchbook full of pictures she's drawn since she was a child. It is a book full of strange sketches and awkward characters, for there is no better way to hide from bullying and life than to create a world of your own. The breath intake sounds were highly annoying. Beyond is the first book in the Beyond series and the first book I’ve read (or listened to) in this series. It won’t be the last. I need to find out what happens to Aimee and Zak, the main characters in this series. I like Maureen A. Miller’s writing style. Not only does it flow well, but she throws a little humor in here and there among the drama. I do think there could have been a little more information about Aimee’s time on the ship. It was mentioned that she could spend time learning from the scientists, but it was never mentioned again and all of a sudden, it was time for her to go home. I’m hoping to get to know the characters more in the next book. Zak and Aimee are the only two humans on the ship from different planets. They are drawn to each other and fall in love. Thankfully, it’s not love at first sight like in so many young adult books. Emma Lysy has a distinct voice that is perfect for this story. She did the different voices well and her pauses and inflections were spot on. I definitely recommend this audiobook to anyone who enjoys young adult books. I enjoyed this book immensely and listened to it non stop. I enjoyed the story and narrator to the point that I didn't want it to end. It was fun, light listening and Miller writes using vivid descriptions. Growing up, I loved stories such as this one - I longed to take those trips and explore new worlds while also finding myself. Loved the book, but the narrator talking through her nose for Zak made it irritating. 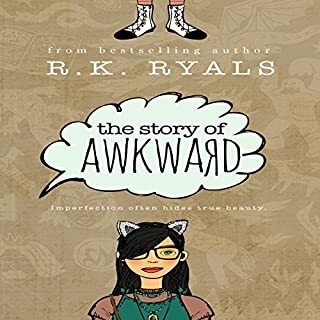 This was a good story.It was well written with good characters.Amy goes for a walk with her dog in the woods.Something strange happens, and she does not return home for years.She meets the man of her dreams while away, but can she leave him to return to her parents?Emma Lysy is the perfect narrator of this mainly YA adventure.I was provided this book free by the author, narrator or publisher. Ok, I am buying book 2! Maureen Miller has paired her writing talent with the unbelievable narration by Emma Lysy. 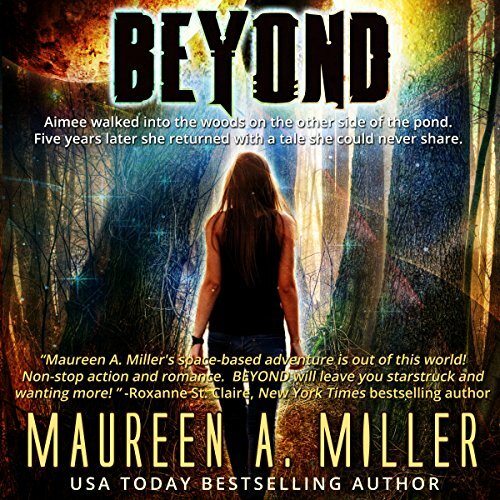 In ‘Beyond’ we meet Aimee. One day Aimee finds herself being kidnapped. She wakes up weeks later finding herself on a spaceship. The ship is in hands of people who have been forced to leave their planet after an epidemic, and now they are looking for an antidote. Soon Aimee finds out she has been kidnapped accidentally, but they can only return her 5 years from now. To be completely honest it took me a little while to really get into this book. Somehow I just couldn’t really get into this book as easily as I usual do. After I listened for the second time to the beginning I finally felt like I got it and I began to enjoy the read more. I really liked Aimee. I loved that she was intelligent and had this kind of ‘nerdy’ feeling about herself. She definitely was a character I could connect with. It did find it a little weird how ‘easily’ she seemed to accept her situation. She wanted to get back home at the beginning, but she definitely sounded a little to accepting if you ask me. Zak was definitely nice to read about, but I just didn’t really ‘love’ him. He just seemed so.. normal. And in the end I still felt like I didn’t really knew him. The romance between Aimee and Zak was really something I did enjoy. Aimee and Zak feel attracted to each other almost right from the beginning and it was fun to read about those two. The timeline was a little strange. One moment Aimee was waking up, and the next she had been on the ship for months. But it didn’t bother me too much. The Narrator Emma Lysy did a good job if you ask me. I enjoyed listening to her voice and getting to know the characters through her. After I got used to her voice, I really was able to tell the characters a part due to her different ‘voices’. Overall I did enjoy this book. I’m beginning to think Sci- Fi isn’t really my thing anymore though. Not because of this book but just in general. I don’t seem to like it as much as I used too. But ‘Beyond’ really is a fun audiobook to listen to. 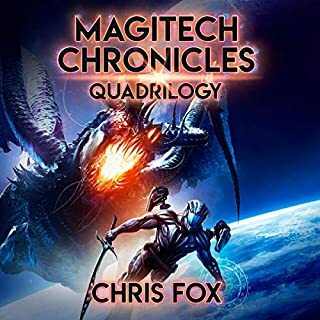 I received a copy of this audiobook for my honest review. When I picked up Beyond, I was looking for a fun alien space story. That's what I got, but I got so much more. Beyond is an intriguing space adventure tale, full of relatable (and brilliant) characters and fun world-building. I loved that the aliens are not little green men or creepy squid creatures, but people. They're not human, but they're pretty much human - in appearance, emotion, and relationships - but they are so much more advanced in technology. Our alien race is running from a plague, and desperately searching other planets for a cure. By accident, or by evil intention, they snag a girl from Earth in addition to the plants they were sampling. This girl, Aimee, is a recent high school graduate, a smart cookie who plans to go to college to study engineering (my kind of lady). So being on this space ship? Well, that's an internship of a lifetime! I loved the Artificial Intelligence machine JOH. What a fun character, and so real. Definitely not just a "computer" like Aimee calls him at first. I loved getting to know Zak and his backstory. He's different from the rest of the alien race on the ship, yet similar, and so honorable and determined to save his own home planet one day. I enjoyed watching Zak and Aimee interact and fall for each other. I ached for them when the spaceship made its way back to Earth and Aimee was to be returned to her home. But most of all I enjoyed that an Earthling got to save the day! I liked that Aimee wasn't a special snowflake - I don't think it was her and only her who could cure the plague. I think any human from Earth, or at least with a similar lifestyle, could have contained the necessary something in their DNA. So that's what I liked about this story - she was just at the wrong (or right) place at the time the spaceship was searching for a cure on her planet and got picked up for an adventure of her life. What's to happen next for Zak and Aimee? Well, this is a series, so I'm hoping there are more fun adventures for them. Now let's chat about the audio since that is the version I am reviewing. 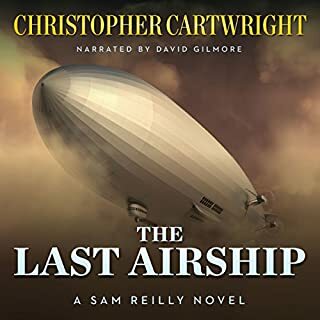 I love audiobooks, and this was no exception. I think Emma Lysy did a great job with the pacing and the storytelling for this book. Her voice was kind of unique to me, almost like when I want to mimic a queen, and I open up the back of my throat and kind of make my words um, bigger? Does that make sense? That's kind of what her voice sounds like. I liked her voices for the other characters and enjoyed the way each character's voice had something unique to it. Overall, a solid read (and listen). Good start to a series. Interesting, enjoyable and entertaining. 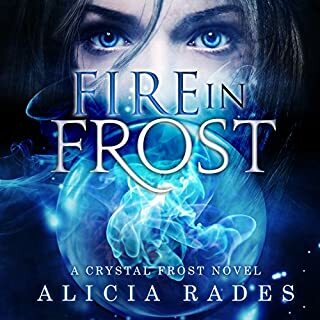 This is a light, Sci-Fi fantasy YA romance, not a dark, violent and complex story. Even though it's listed in the Teen category, personally I really enjoyed this story. Aliens, romance, different worlds, space travel, suspense, mystery, plague, betrayal and more. Good characters, especially Aimee and Zak of coarse. You don't get the feeling that their relationship is forced or too fast. It works well. The story does end in a sort of cliffhanger. It's the kind of cliffhanger that if there were no other books you would be happy with the ending. But it does leave you wanting the next installment immediately. It will be interesting to see where the story goes from here. There are a few inconsistencies in the storyline, and things pretty much happened the way you would expect them to happen with no major twists, but they were not enough to take away from my overall enjoyment of the story. I am looking forward to the rest of the series. Emma Lysy did a really good job with the narration. Pleasant voice. Very distinct and easily recognizable. Even though her voice is soft it's not "too" soft. Clearly spoken with a nice even pace. Good character voices. Her male character voices are becoming more distinct and you can tell the difference between all the characters male and female. She was able to bring the story and characters life. 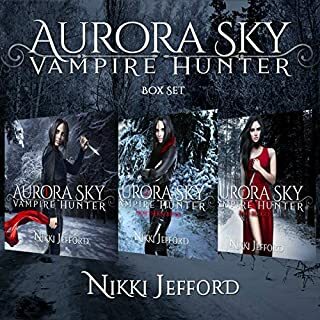 Hopefully the rest of the series will be available on Audible soon and she will be narrating them. Was Beyond worth the listening time? There were some weird inconsistencies and the main character being really naive for someone suppose to be super smart, but I really enjoyed this story. The main characters, Amiee and Zak, were awesome together and I can't wait to learn what happens next for these two. Anyone that loves YA will enjoy this book. this book was a delightful mix of sci-fi and young adult romance. great for the young and old. the story was well written and the narrator did a great job. I really enjoyed this book and hope that there's more to come.